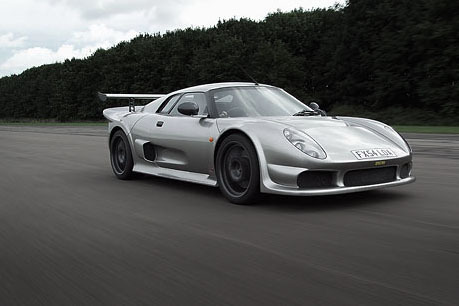 In all honesty I have no intention of getting rid of my FD, however I think if I had to choose a comparable car it would be the Noble M400. Amazing cars. Another level of capability above an FD, and lighter to boot. Good luck finding a used one, though. My friend actually sold his Lotus a few months ago and he got a Noble. I believe he is 1 of 6 or so in California. I think for it to be worth it, I would have to get probably the next closest best thing to an FD and get a z06. Although I've never driven one, the two cars seem to have the same base. Throw on a turbo and/or supercharger and you'll have a pretty quick and light car. Tell you one thing. If you go drive one, be ready for your bank account to drop next day after the drive. Those cars are sick, assuming you're talking about C6 Z06. Also, are you considering giving up on your FD? Kind of wondering what the motive is for asking others' opinions, not that there is anything wrong with that. To be honest I would go directly to England if I wanted to get one, then just mess with the hassle of getting her here and legal after finding one there. I'd get an Audi RS4 and just roll clean. If you had to give up your FD, what "reasonable" car would you upgrade to? I've also heard a lot of FD people upgrade to 966 TT's but for some reason, I've never liked Porsche. Z06 since I worked around LSx engines for 6 years. They are magical beasts that keep on going. I **** on American cars as much as the next guy but at least I can take note when they do make good cars. Sounds like you have no valid reason if you don't want us to ask. Last edited by Aeka GSR; 12-22-10 at 01:28 PM. You CAN NOT go wrong with a C6Z. I dont think there is one owner out there that regrets getting one. In fact, i think the people who did buy one (especially recently) wished they had bought one sooner. The C6Z is probably the BEST car you can buy off the dealer that is the best bang for buck which is not "much" more than what you can get for your FD used. I think it would depend on why I had to get rid of my FD. If it were something like going broke, or a family emergency, I probably wouldn't be replacing it with something I really want like a GT3 or Exige. The most likely reason would be that I've moved to California, and don't feel like dealing with the emissions issues there. in that case, I'd go for a C6Z because it would deliver the most power in stock form, or likely the most in a modified form that would still be legal enough. Then I'd just spend my mod money on weight shaving, big tires, and great shocks... like I do now. But my dream build is a 4 Rotor N/A Wide body BMW 850..6spd time attack monster. It would look similar to this...but with much nicer wheels..
That is a NICE friggin' BMW....the kit just takes it to a new level. There are usually Nobles for sale on Ebay Motors. Check out the Other Cars section, there's always something cool- there's a Mosler, couple of Rossions, Ultimas, and Tesla Roadsters for sale. 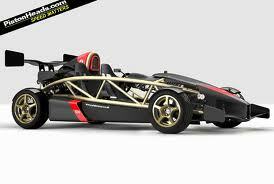 I'd also love to own an Ariel Atom at some point. I'd get another '90s car.. an mkIV supra..
Mazda Miata! Or S2000 which is like honda's version of the miata but as far as lightweight front engine rear wheel sports cars this is it people nothing else even comes close. Both of these cars are great say what you will about the Miata but its a great little car. Not sure what you're saying but it seems that you believe a c5z is inferior to the FD whether it's modded or not. I strongly disagree based upon 7 years experience driving in DE instructor groups and Time Trials and I'm very comfortable saying a basic t1 race car is a handful for a HEAVILY modded FD and once the t1 race car variety is modded LOOK OUT! The ONLY way an FD is going to compete against a modded C5 is to drop in a different engine. If both cars are stock running stock size slicks it's completely embarrassing. 2005/06 Ls2 GTO I just see potential with this car, the only downside i remember is that stock fenders only fit a 265 tire, which is plenty for mre. 2003/2004 Terminator mustang. Ya its a mustang but with just a cold air intake, cat back, smaller supercharger pully and a diablo sport tuner it brings the car close to 535Hp if i remember right either way small bolt ons go a long way with that car, and its IRS. 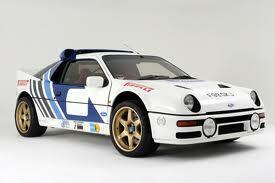 Plus i saw a track instructor bully a Ford GT out of a turn in Streets of Willow with this car. 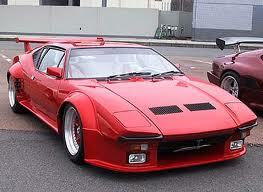 i agree with Aeka while im not a fan of American cars. how ever my dislike stems from American car companies refusal to step up their game until recently. now sure when you compare the cars on the high end of the line up they are great, but its the middle of the spectrum that bugs me. just an example ive seen first hand a mid 90s neon compared to the same year civic, the civic has tighter body panel gaps, better quality interior, etc. basically any company will take care of their big spenders, but its the ones that take care of the little guy that i respect and will remain loyal. plus around here the consensus is you cant be fast with out a V8+ and i dont want to be part of that hillbilly mentality. If I had to get something else besides an FD it would be either a 04-05 Gallardo or a GTR (preferably a R34).